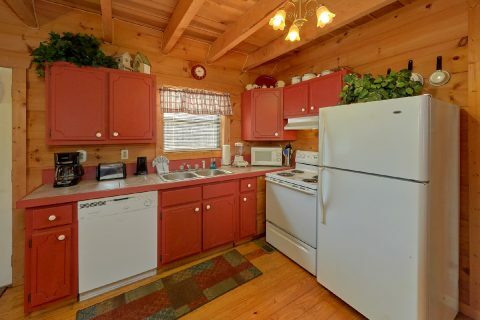 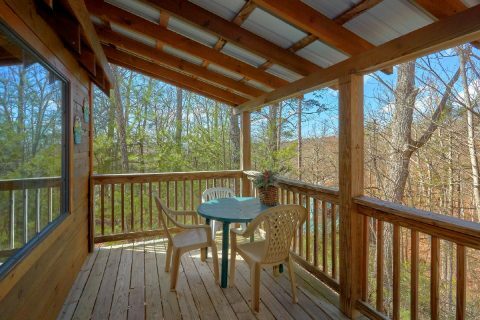 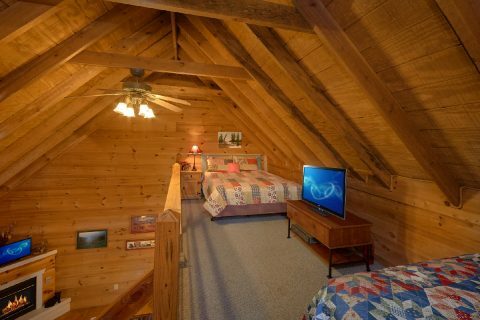 Looking to escape to a 2-bedroom cabin near Pigeon Forge? 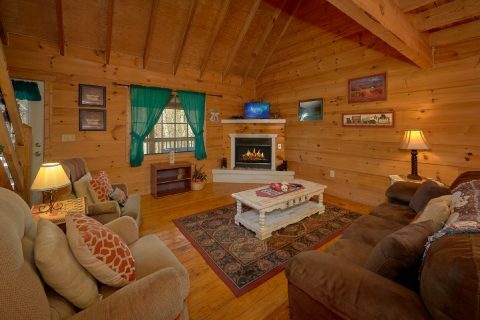 "A Little Bit of Lovin'" offers guests a chance to enjoy the fun and excitement of the Smokies as well as a comfortable cabin interior for an unforgettable vacation! There's plenty to do for every member of the family in the Smokies! 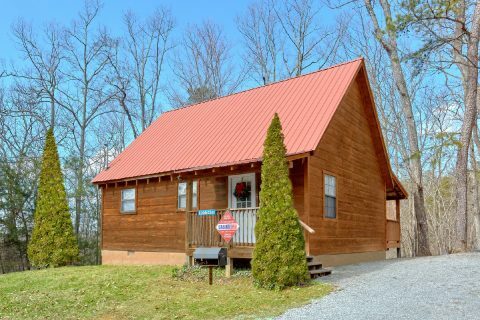 Whether you want to enjoy the wildlife of Cades Cove or enjoy a dinner show along the Pigeon Forge Parkway, there's something for everyone to love. 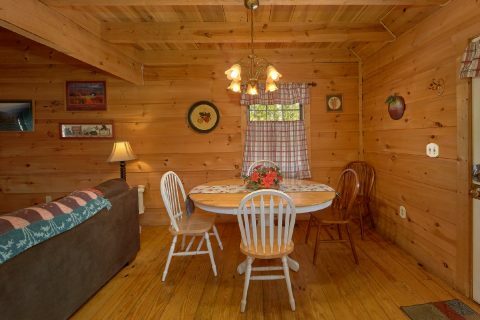 From the thrilling rides of Dollywood to the great dining in Gatlinburg, it's no wonder why people consider the Smokies as one of the top family vacation destinations! 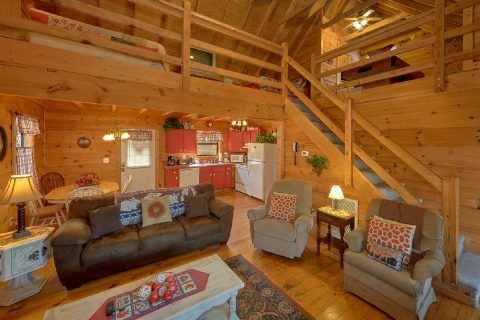 After a day spent exploring all the fun and exciting attractions of the Smokies, your 2-bedroom, 2-bathroom cabin provides the perfect place to enjoy the company of friends and family. 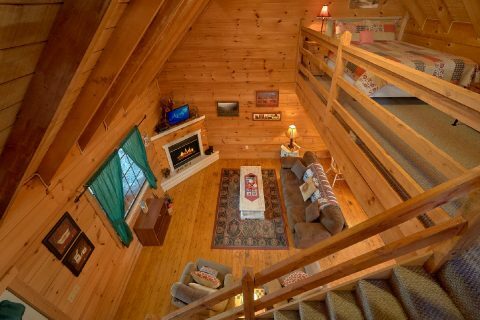 Everyone will enjoy gathering around the warmth of your gas fireplace to watch the big game on the TV. 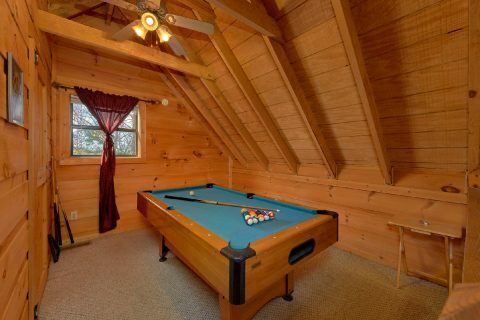 A pool table offers the chance to enjoy a family tournament. 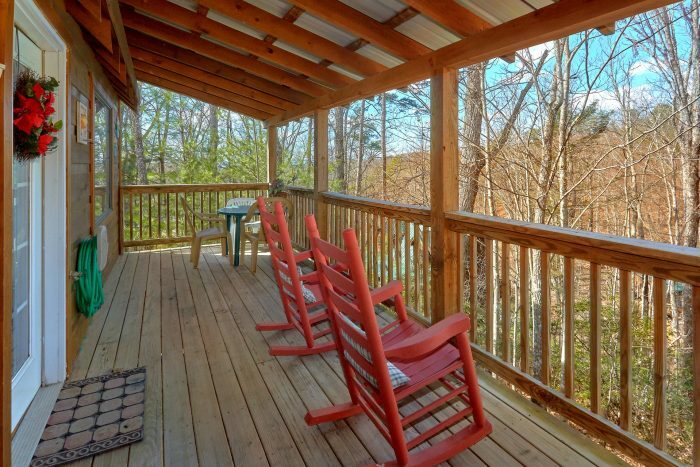 Outside on the deck, enjoy cooking burgers on the charcoal grill for a family barbecue while enjoying a partial, wooded view of the Smokies! 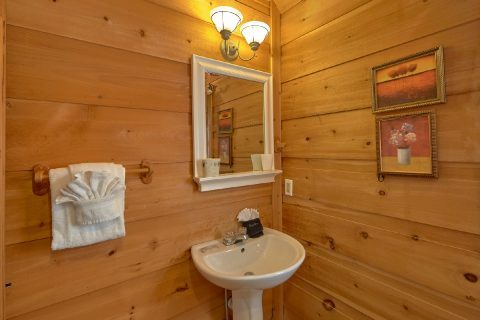 Your cabin also offers plenty of was to enjoy some much-needed relaxation. 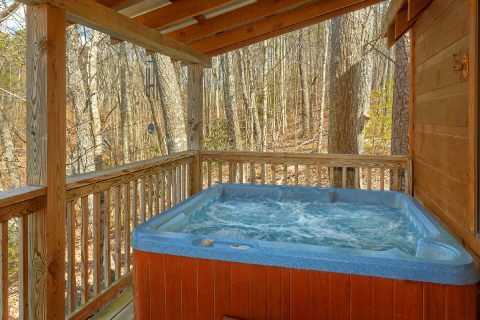 Outside, relax in a rocking chair or take a dip in the warm waters of your cabin's hot tub. 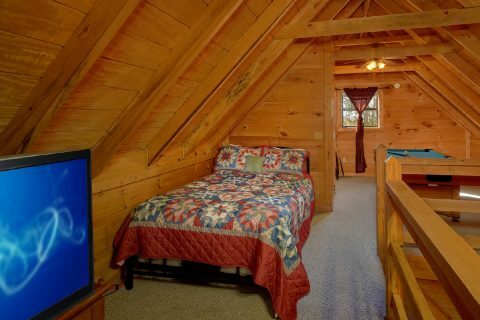 Back inside, rest up for another day of fun with friends and family in the cabin's queen bed or full bed. 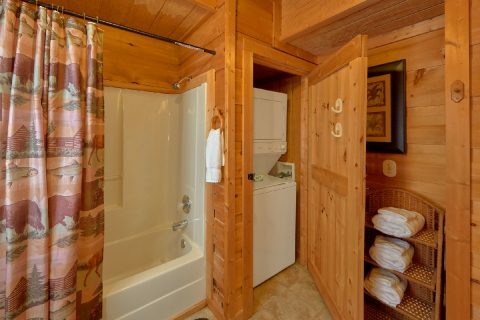 Practical amenities, such as a washer and dryer and dishwasher, help make your stay as comfortable and convenient as possible. 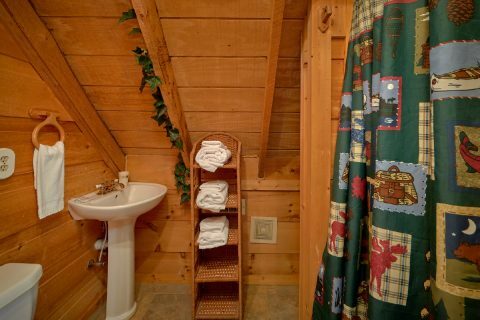 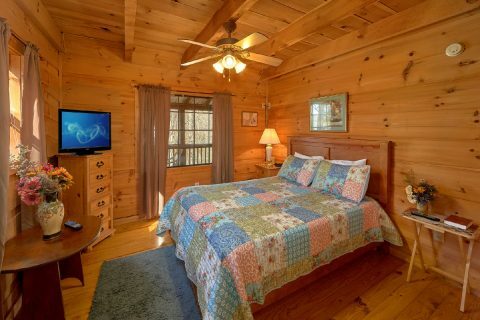 Book this 2-bedroom cabin near Pigeon Forge today and start planning an unforgettable cabin stay! 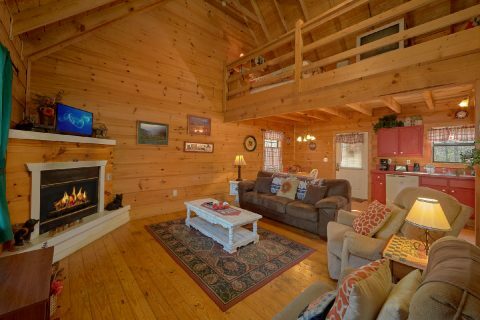 When you reserve "A Little Bit of Lovin'" online, you'll receive a 15% online booking discount.